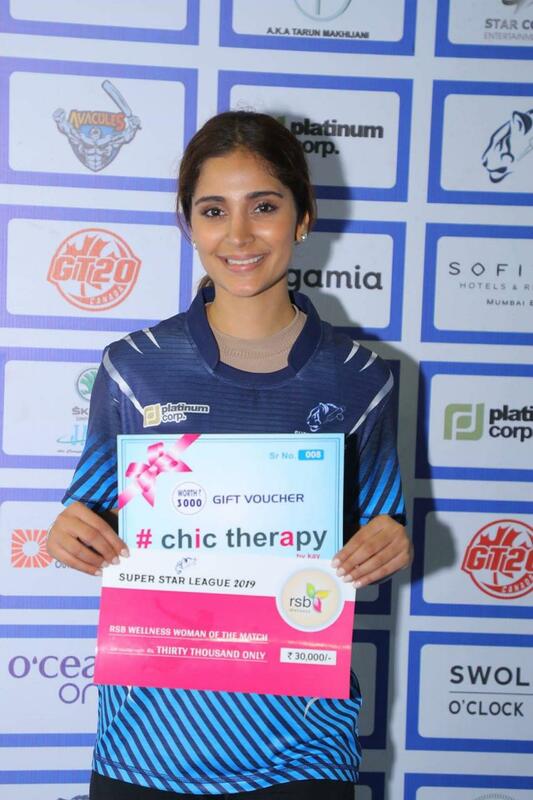 Alankrita Sahai is the woman of the match today. The match is an 8 over per team affair and it is mandated that girls will play one over each team. 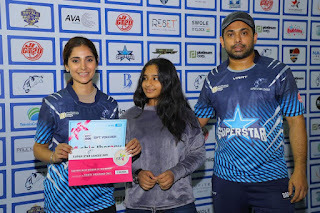 Alankrita lasted the entire over that the women were supposed to play and also took two wickets in the match today. 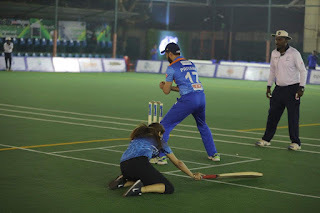 She scored 6 runs of her 6 balls with brilliant running between the wickets with her partner Amit Gaur. 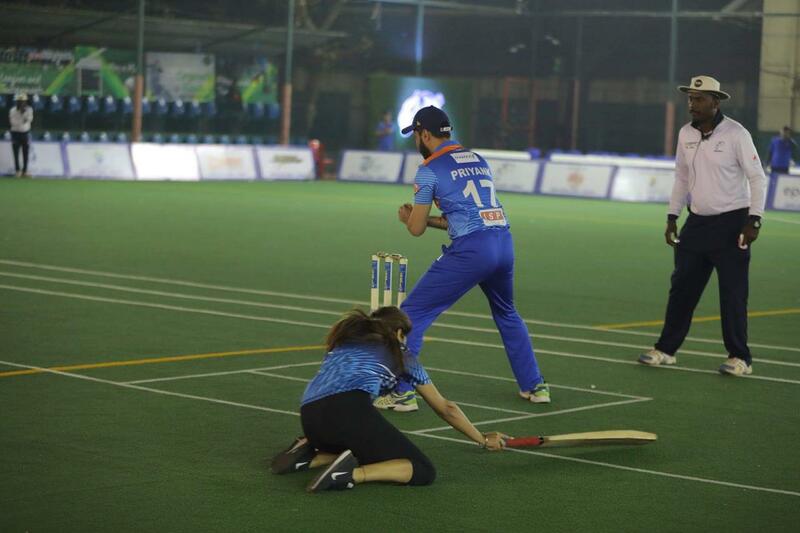 She gave it her all and even dived twice to save herself from being run out. 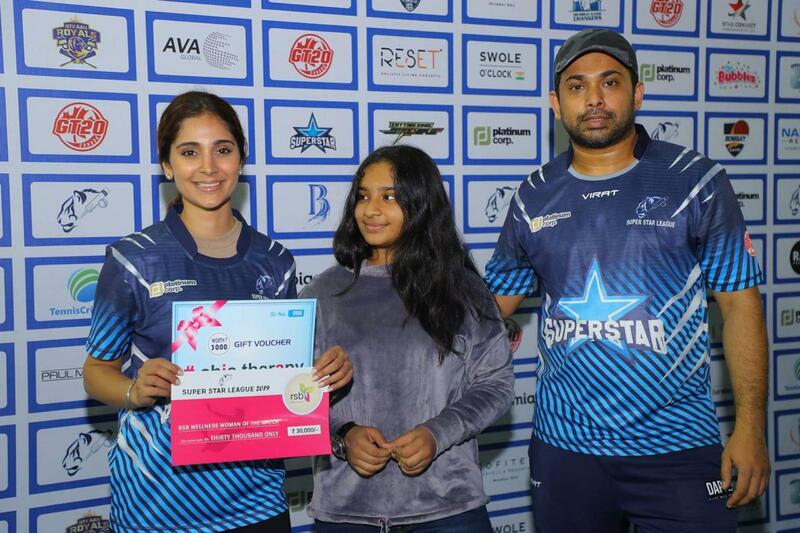 In the second innings, Alankrita came back to scalp two quick wickets in just 3 balls and gave a very good head start to her team. Alankrita performed fabulously well today and it was worth a watch. The tournament is called the superstar league and it really has some big superstars. 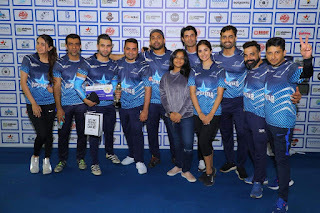 Big names such as Dino Morea, Arjun Rampal, Minnisha Lamba, and Parth Pawar. 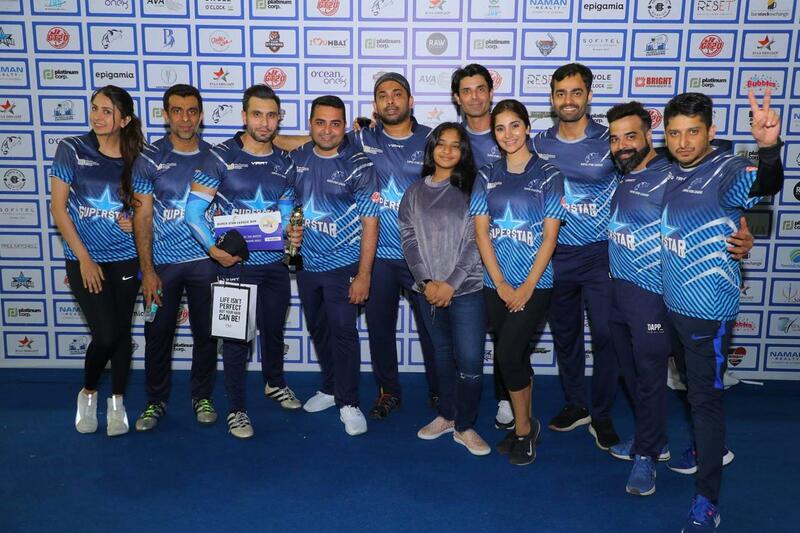 In today's match, Alankrita Sahai' team won against the one which featured Minnisha Lamba and Parth Pawar. With this Alankrita has had a great start and she is super enthusiastic about it. Amidst all these energy sapping and heart-stopping action, we caught hold of her to talk to us and here is what she says, "It was fabulous. I loved being out there. The adrenaline was kicking in and everyone performed really well and to be the woman of the match was just the icing on the cake. I can't get enough of it now".